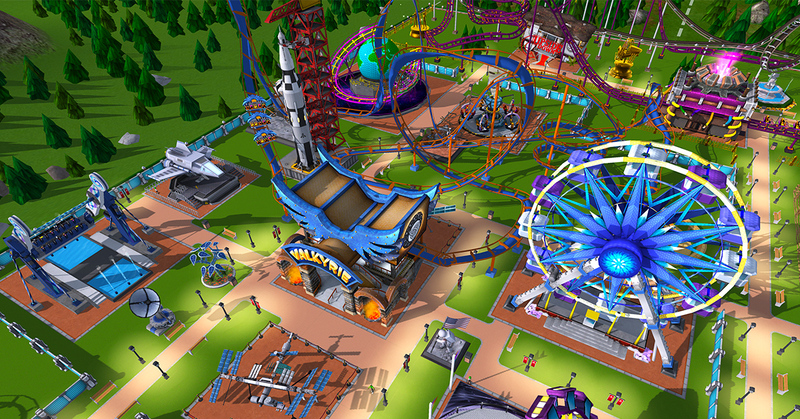 The theme park simulator gets a long-awaited facelift. With RollerCoaster Tycoon Touch, the beloved amusement park building series is moving beyond dated 2D graphics and into the modern world. It's strange to say this in 2017, but it's the first mobile version of the game to take advantage of 3D graphics. It's a major leap ahead of 2014's RollerCoaster Tycoon 4 Mobile and RollerCoaster Tycoon Classic, a rehash of the series' first two games released in December. The free-to-play title is available on iOS and Android, and you can bet there will be plenty of micro-transactions. Beyond the graphics, it doesn't seem like much is changing gameplay-wise. You're still aiming to put together an impressive theme park to keep audiences happy, and you can build your own rollercoasters from scratch. Atari says there will be over 100 attractions to add to your parks, and you can also quickly share your creations with friends (with the ultimate goal of making them download the game, of course).